Have you ever wondered what you can do with your podcast show notes to get more value out of them? What can you do to squeeze out every ounce of purpose they offer? Where else can you share them? How can you repurpose them in a way that will drive more new listeners from a variety of online platforms to your iTunes or Libsyn page? Many podcast hosts simply upload their show notes to Libsyn, iTunes, or other hosting platforms. Some savvy hosts may even post them on their personal or business blogs along with their episode. But, what else can you do to really get your content out there to the world? To reach even more listeners? To encourage more downloads? Thousands of bloggers are including tweetable links in their blog posts. 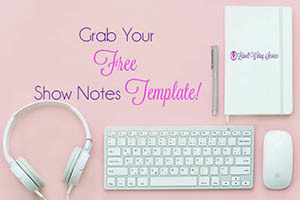 If you're posting your show notes to your personal or business blog - you should do the same thing! Tweetables are one of the main reasons why the team here at Lidwell Writing Services includes quotes taken from your audio when we write for our clients. After all, what better, simpler way for your audience to share your show with their friends, family, or colleagues on Twitter than to simply click on some text or hit a button from within your show notes and have it post directly to their feed? Did you know that our show notes are designed to allow you to simply copy the short intro paragraphs we write and paste them directly into your Facebook page posts? Your guest (if applicable) - Who they are, what they do, and why they are relevant to your audience. These paragraphs are specifically designed to help you capture your audience's attention across a wide variety of social media platforms, encouraging your listeners to click through to your site, visit your iTunes page, and check out your awesome content. To that, I would say - you are partially right. But, what some smart, savvy podcast hosts have figured out is how to hack their marketing strategy to be able to include Instagram in their show's social media marketing toolkit! That beautiful image you use for each episode of your show - share it on Instagram. Then, copy your show notes for that episode into the text section - don't forget to hashtag - and post away! Some people use the notes in their entirety on their Instagram feed while others may prefer to simply use the intro paragraphs like they would for a Facebook post. You're not shy behind the mic, so why get shy behind the camera? You may be thinking right now - "But how do I use my show notes on Snapchat?" Using the front-facing camera on your cell phone or tablet while on Snapchat, simply read the show notes to your audience. If you're one of those smart cookies out there (and we know you are!) - you probably record your episodes well in advance to give you plenty of time to handle the post-production work, right? Yeah - I thought so! Since that's the case, use this technique to help get your friends and followers on Snapchat excited about your upcoming guest or episode! Read the show notes - either just the intro paragraphs or the entire thing - to your followers. Let them know what amazing content is coming soon. You could even take this one step further and encourage them to sign up for your newsletter - where, of course, you'd also post your show notes as well as a direct link to your episode. Want more fun ways to share your podcast? 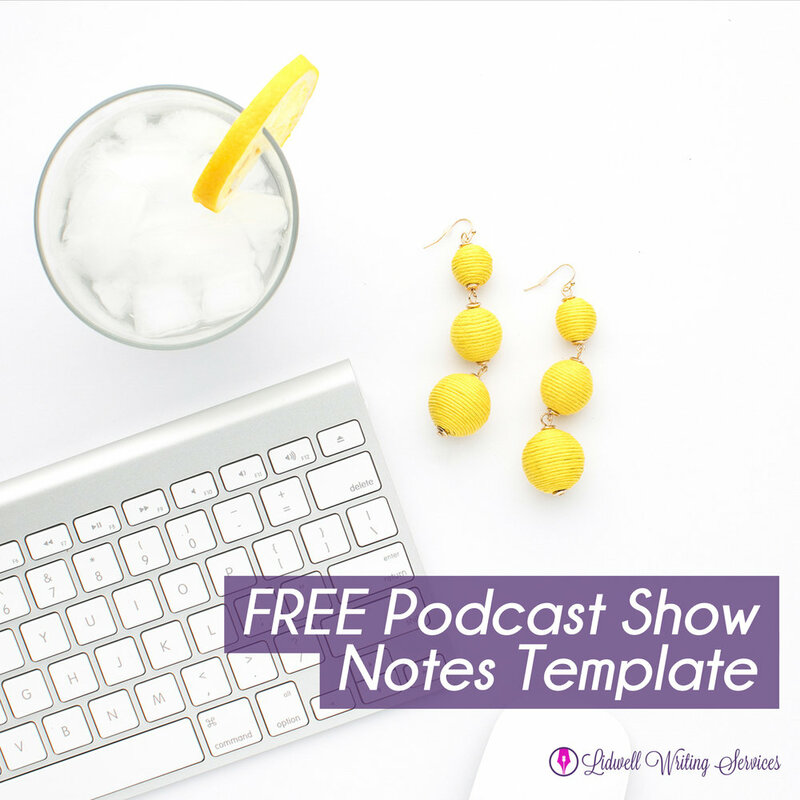 Want more creative ways to share and promote your podcast while using your show notes? Check out this post we wrote back in August to spark even more creative marketing ideas! 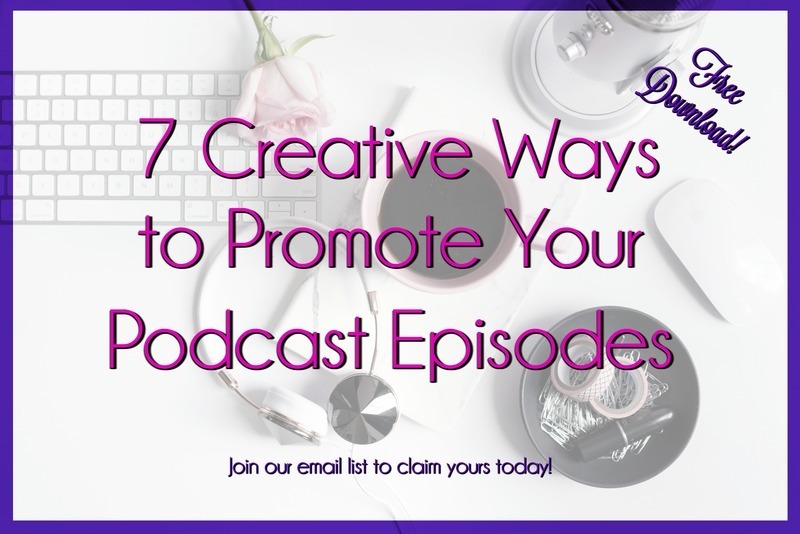 Subscribe to our newsletter below to receive your very own copy of the 7 Ways to Share Your Podcast Episodes downloadable .PDF! Inside this 8-page guide, you will find several creative ways to help you promote your episodes. It's chock-full of actionable tips and explains exactly how to incorporate each suggestion into your own marketing strategy. And, to simplify things even more, check out our previous post about animation tools you can use to help schedule you social media posts and promote your episodes!